The German automaker has announced that it will unveil a wold premiere of the Audi A1 Sportback tomorrow, during the second press day of the Tokyo Auto Show. This car will be the first addition to the Audi A1 family and will feature five-door design. Audi will live-stream the world premier of the A1 Sportback on Audi Mediaservices, but a playback version will also be available for those who are not able to watch the event live. Audi is already celebrating a great success because of the size of the Audi A1 among small luxury cars. The arrival of a five-door, unique in its segment, should enable the company to take a step ahead of its rivals. Audi A1 made its first appearance at the 2008 Paris Auto Show and at the time the A1 Sportback was presented as a concept. Today, three years later the concept has become a reality and will make its world premiere tomorrow. The car is expected to arrive in dealerships in early 2012. 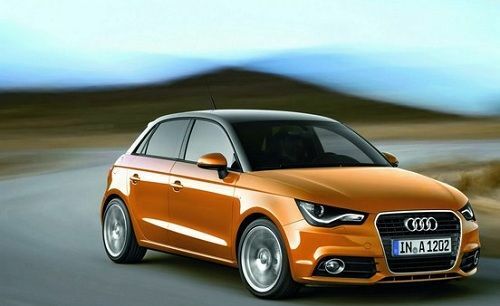 The entry price (petrol engine: 1.2 TFSI 86 hp) of the already 2012 Audi A1 Sportback is set to be 17,400 euros. Converted to U.S. dollars the price climbed to 19,608 dollars according to today's currency exchange rates (Nov. 29, 2011). The price of the TDI 90 hp engine version is expected to be around € 19.500, which after conversion is 26,002 dollars. 12 different colors are available including the new Samoa Orange, which will be exclusive to this model (seen in the accompanies picture). Tomorrow comes the world premiere. As in Frankfurt, Audi takes a leading role to live broadcast the debut of the 2012 A1 Sportback. Mobile version of the streaming will be available at AudiMedia and MediaKiosk App. The debut is scheduled at 9AM Eastern Time, which makes it 3PM CET.